Los Angeles, CA January 7, 2013 – Eric Edson, author of The Story Solution, released a review of screenwriting software packages on his story writing blog. The review highlights various features, tools and resources. These programs increase productivity levels for TV screenwriters and scriptwriters. Included in his review are helpful points regarding the unique advantages of each software. The three screenwriting software packages are Final Draft, MasterWriter and CharacterWriter. Final Draft – Top Screenwriting Software: Final Draft combines powerful word processing with professional script formatting in one self-contained package. This innovative program automatically paginates and formats your script to Industry standard as you write. Final Draft was specifically designed for writing movie scripts, television episodes and stage plays. MasterWriter – Top Screenwriting Software: MasterWriter is an unlimited source of ideas pre-inspiration, and an invaluable tool during the creative process. Its most important role may be post-inspiration, when finding a better way or a more creative way to describe something, which can be the difference between good and great. CharacterWriter – Top Screenwriting Software: CharacterWriter was specifically designed to assist professional screenwriters, scriptwriters, book writers, and others interested in creating believable, bankable characters. Users can quickly create characters that connect with Character Writer 3.1, a development program that combines the power of the Enneagram personality-typing system with story-generating tools to help screenwriters create fully realized characters and perfectly organized plots, all in one easy-to-use interface. About Eric Edson – Eric Edson has written seventeen feature screenplays on assignment for such companies as Sony, Warner Brothers, Disney, 20th Fox, ABC Motion Pictures, Lifetime, Showtime, NBC, and TNT. He has also written for episodic television. He is Professor of Screenwriting and Director of the Graduate Program in Screenwriting at California State University, Northridge, and lectures through the UCLA Extension Writers’ Program, the largest screenwriter training center in the world. Eric can be reached at: [email protected]. The Story Solution offers a completely new approach to building powerful screen stories that will keep producers, agents and audiences glued to their chairs. These, I guess, are the best tools. From the cited features, writers will surely enjoy and easily fix scripts. Thanks for the post. The CharacterWriter sounds very interesting and helpful. Creating a unique character is not a very easy thing to do, that’s why research and tools like this are essential. Great list of software’s final draft, masterwriter and characterwriter will be great tools to utilize it will help out a lot of writers. 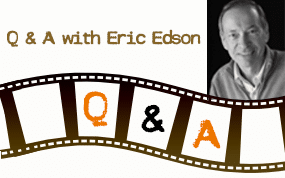 Who better to comment on storytelling software than the man himself Eric Edson! This man knows his stuff when it comes to screenwriting, and the technical stuff that goes into making a screenplay a reality. I am definitely going to check this software out. I have been writing for a couple of years now primarily on the Lifestyle Section of some local papers. I have been toying with the idea of taking the next route by starting to write a script. The CharacterWriter seems to be the logical choice if one wants to go with believable characters. The fact that it hinges the character on its developed Enneagram profile is amazing to say the least. It’s enthralling to know about these software packages. I write short stories and make scripts but I never imagined that characters can actually be generated by tools such as the ones presented here by Eric Edson. I’m totally amazed! Are these software for free? I hope that they are. These are really helpful and provided with great features. I got to see them working in action. Nope, sorry but these screenwriting software programs are not free. Hey, the really good stuff seldom is. But I for one think that paying the relatively small amount they cost, then using them regularly, can put you wa-a-ay further down the road toward scripting success. If you are a carpenter you invest in tools, don’t you? Without tools you cannot prove how good your work is. I plan to give this as a gift to my younger sister who is budding to be a writer on film and television. I’ve searched similar products online but I think this one is quite convincing and I must say this can be very helpful to her. Reading about these softwares makes you wonder how Shakespeare could have written all those plays without the aid of these programs. These software packages are a handy companion to writers from all over the world. And it’s not because writers don’t have to imagine their characters. But this simply makes sure the characters are more realistic. There are so many screenwriting software out there that it is hard to choose the right one. This article is so helpful for budding screenwriters as it explains the features of the software listed. Hopefully some free good-quality screenwriting software will crop up in the near future. Screenwriting software packages such as Final Draft, MasterWriter, and CharacterWriter, are very helpful to writers to maximize their writing skills and potentials. Nowadays, writers can more easily pursue their desire for screenwriting and script writing, thanks to screenwriting software packages that are available with various tools and resources. These screenwriting software packages are really worth looking into. And I’m glad you highlighted some of their most important features. One of the top traits of successful people is that they don’t try to be Superman. 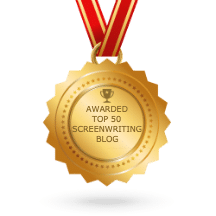 And if you want to really make it big in Hollywood or the TV/Films Industry, then it is crucial to look into tools and resources to consistently provide speedy, efficient and quality scripts and screenplays. TV screenwriting and script writing are not easy ordeals and jobs such as these can be very demanding – always pushing you to your limits. 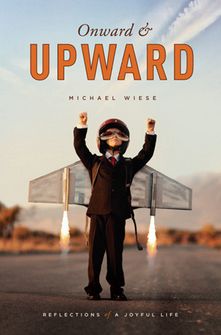 So why settle for being good, when you can always be better – fast and easy? Screenwriting tools are truly must-haves. Kudos man! For aspiring writers, it is a great help to have reliable software packages that can efficiently guide their screenplay writing. Thank you, Eric Edson, for imparting this useful resource!